Travel is one of the industries that has completely transformed by the smartphone evolution and as a result, there is an abundance of ingenious apps designed to make your trips easy to plan, cheaper, well-informed and more enjoyable. Short of literally packing your bags and rooting out your passport, your phone can support all of your travel needs in one way or another. 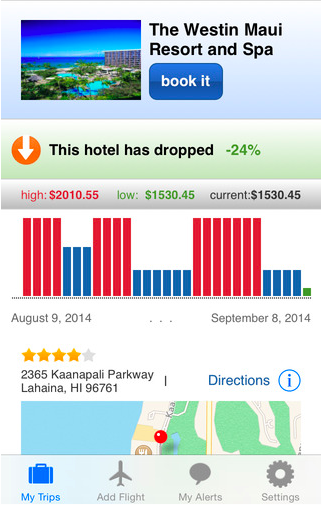 This is a pretty popular booking service on the Web already and the mobile app is just as handy. 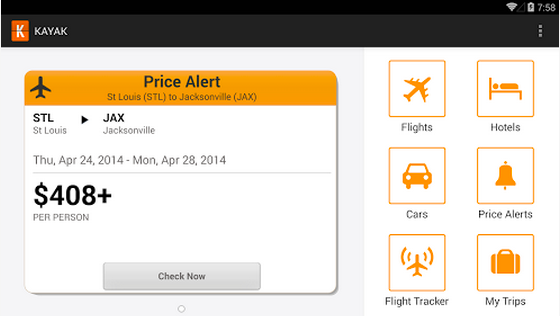 In fact, it lets you email your flight searches on mobile, something you can’t do on the Web version. You can also pin your search to your start screen if you want to keep an eye on the price fluctuation. Kayak is the best service I have found for booking multi-city flights. 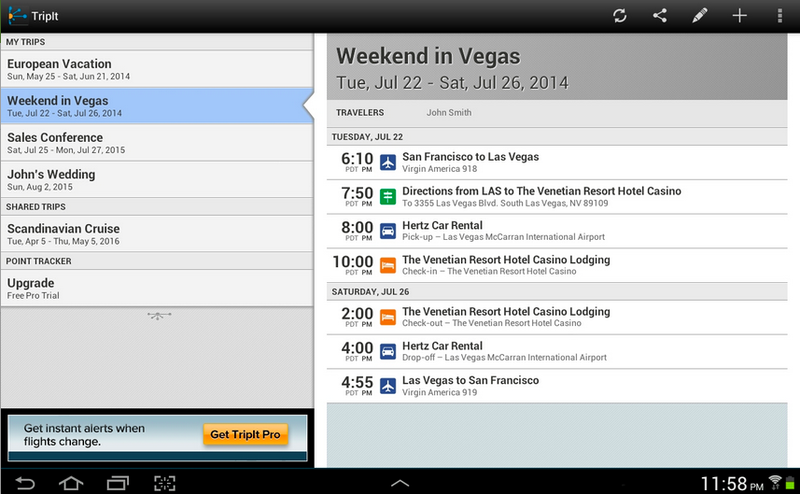 It can also be used to find hotel deals, book rental cars, plan your itinerary and track your flight details. It is by far the easiest and most functional multi-booking platform I’ve used, even just down to the simplicity of the search pages. 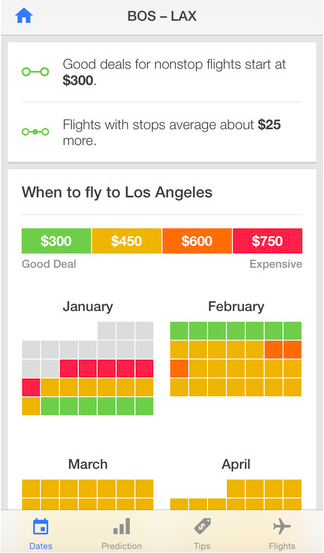 If you’re still in the planning stages, Hopper can help you predict when the flights you want are going to be the cheapest. It’s not always practical to be waiting to book but it’s really handy if your dates are flexible. If you are set on your dates, Hopper can send you a notification to alert you of price increases or drops and advise you on when is the best time to book. 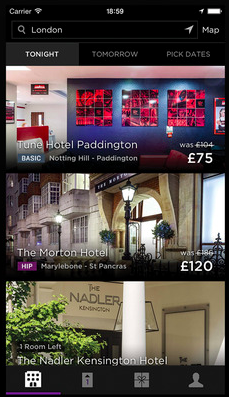 HotelTonight is an essential one for any last-minute trips, or if you’re prone to missing flights! 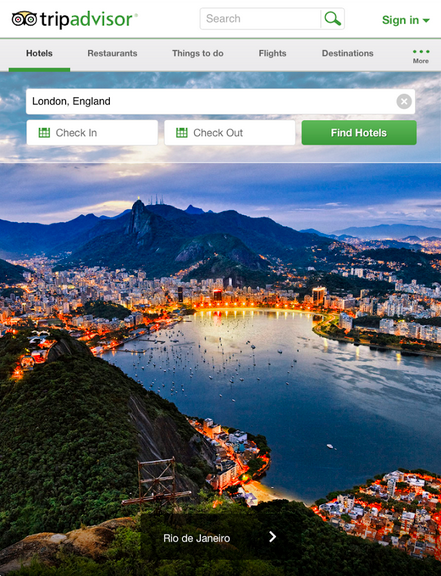 It offers discounted hotel rooms in cities all over the world at the last minute, or up to seven days in advance. 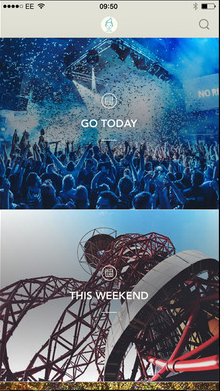 You can also use the app’s Escape feature to check out the best getaway deals for ‘tonight’ or the weekend ahead. 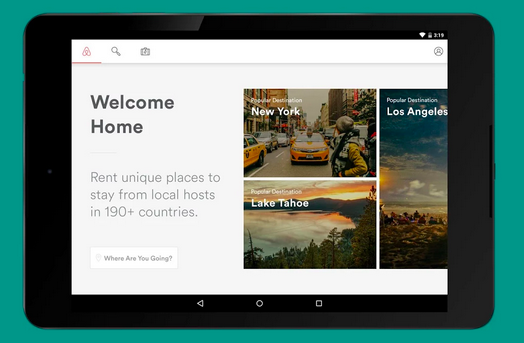 The Airbnb app is the pocket-version of its website. So, whether you’re looking for a place to stay for one week or a few months, Airbnb will have somewhere. Often providing quirky alternatives to hotels and outside the usual tourist areas, Airbnb can really save you money. Using Yapta alongside apps like Skyscanner and Kayak is a good idea as it works by holding the hotel and flight rates you’ve been quoted for a fee ($0 to $100+) so you don’t lose out. It can be used by individuals for personal travel as well as by companies for corporate trips. This app lets you follow the path of thousands of international flights, so even if you’re not traveling, you could watch your friends and family’s flights and know they’ve landed safely. It’s also a handy one if you’re waiting to pick someone up at the airport as you can see if a flight has been delayed and when it’s due to land. This app is an organized person’s dream. It pulls all of your confirmation emails for flights, transport, hotels, etc into one handy itinerary and adds in corresponding maps for easy navigation. It also scans your inbox for any reservations and adds them to your calendar. When it comes to beating jet lag, I think I’ve tried every tip no matter how weird it was. Very little worked until I gave Entrain a go. It hasn’t cured jet lag completely but it’s definitely the best app I’ve used to help. 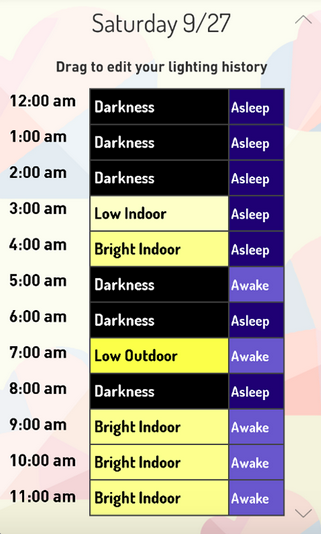 The app was built by a team from the University of Michigan and uses your destination and travel details to determine the best way for you to adapt your sleep cycle with a timetable of when you should be in light and darkness, asleep and awake. Packing for a trip, whether it’s a week or a weekend, can be a real chore. I always pack too much because I find myself saying ‘I’ll bring this just in case…’ and then before I know it, the bag is full. Packing Pro aims to help kick that nasty habit to the curb. 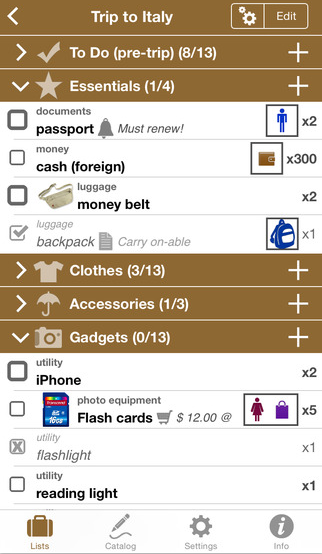 When you enter your travel dates and destination, it gives you streamlined lists of what you should pack. The lists are split into essentials, clothes, gadgets and more, so you really can’t forget anything with this on your phone. If you’re travelling with your children or family, it has an option to generate lists for them too. Affordable data roaming remains a necessity for most of us, but where it’s not accessible, Wi-Fi finder can help you out. The app features over 500,000 paid and free Wi-Fi locations in more than 140 countries, so it can save you a lot of frustration and time. It even has an offline mode that lets you download maps so you won’t get lost when you’re out of coverage. When I travel abroad, I tend to use my card more than cash and often lose track of how much I’ve spent when dealing in different currencies. 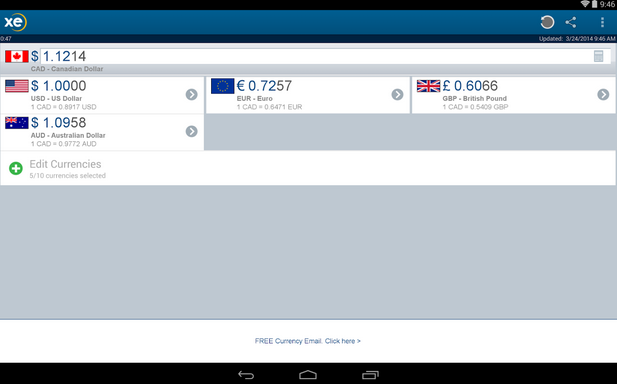 There are lots of paid currency converting apps but I find XE Currency to be more than adequate for totting up the live exchange rate. It’s also a great way to work out how much money you need to change over before you travel as well. 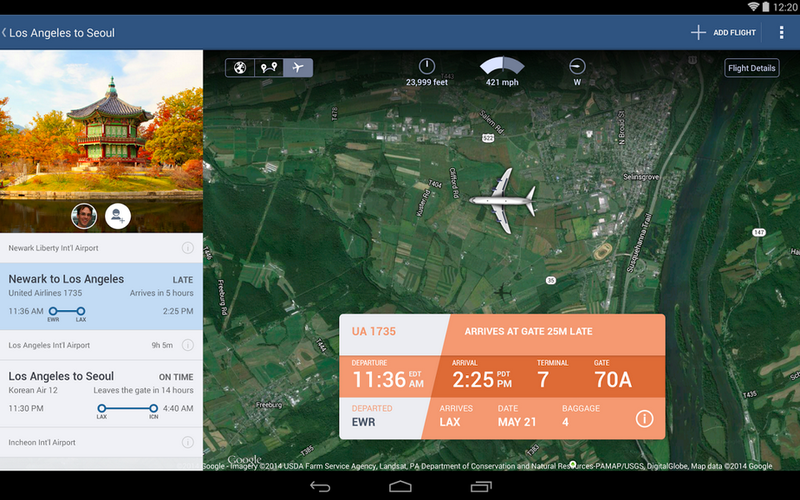 Depending on where you’re travelling, one of these transport apps will probably come in handy. Uber’s been getting some negative publicity in recent times, but in a lot of cities it’s business as usual and is often the most affordable option. Hailo is quieter in terms of publicity but it’s still operating successfully in London, Manchester, Liverpool, Leeds, all over Ireland, Barcelona, Madrid, Singapore, Tokyo and Osaka. Lyft is the newest of the three and is still only available in the US for now. It has an option for ride-sharing with people headed in the same direction, so it’s a good one if you’re travelling from city to city in the States. If you’re going to the Big Apple, your best mode of transport (besides your legs) is probably the subway, which can be confusing if you’re not used to it. This app makes planning your journey less stressful with its nifty augmented reality mode that overlays stations nearby as you explore the city. While Google Maps and Citymapper are good, I find Maplets to be more accurate and reliable. It has fewer blank spots in its specialized maps, which are created both officially and by users. 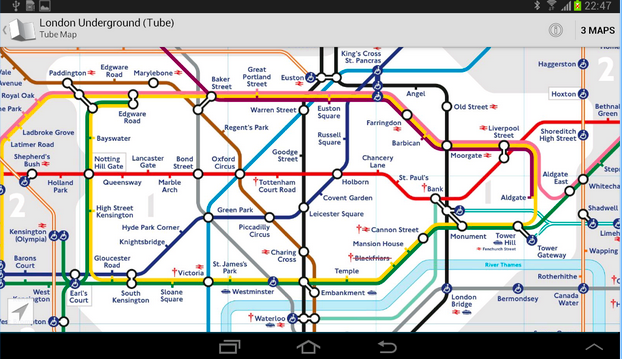 I’ve used it to find coffee shops in train stations, as well as specific shops inside shopping malls. Conversation mode is a life saver. I have pretty serious food allergies that I always have to explain in restaurants when I’m abroad, and it’s often confusing. Conversation mode translates between languages as people speak so if you can handle the lag while it translates, it’s a really useful feature to take advantage of. 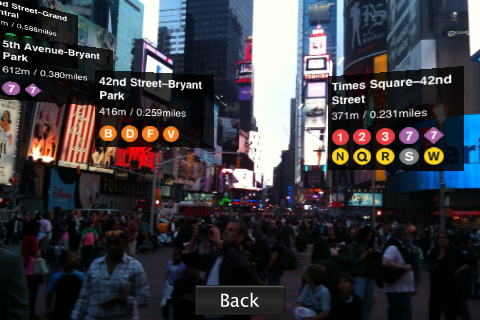 This app is good if you don’t want to stick to the usual tourist spots on your trip. 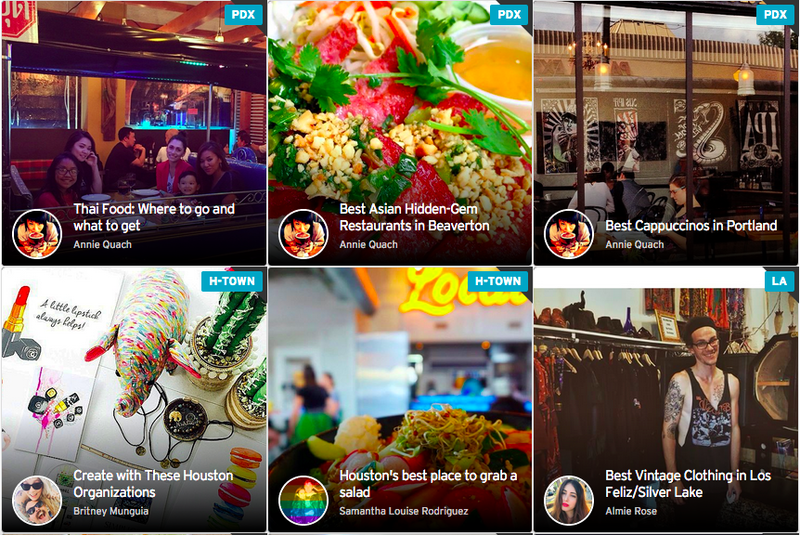 Localeur gets its data from locals so everything you see featured has been suggested by someone who knows the area and has really been there before. It’s only available in the US at the moment and lets you search for niche requirements, like a bar with a photo booth or where you can grab gluten-free pizza at 4am. Foursquare’s Swarm is a fun one if you’re travelling to a city where you know other people. 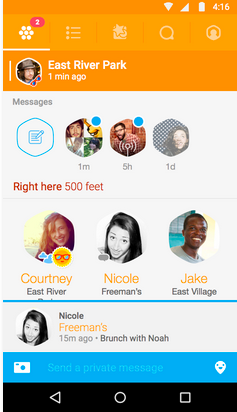 It lets you check-in easily and see who’s nearby and might want to hang out. You can also compete with friends to win ‘Mayorship’ of different venues, if you’re feeling competitive. 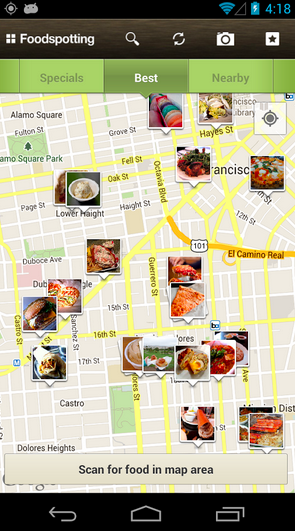 Foursquare itself is a gift to curious travellers. When you open the app it shows you restaurants, bars, shops and even churches that are close by. You’ll also get a list of tips on places of interest from people who have been there before. 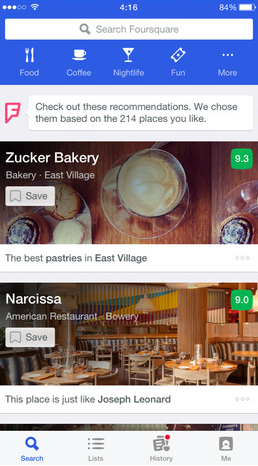 This app gives more info than your usual restaurant reviews service. It focuses on specific dishes, which is really useful for people with food-related allergies or even if you’re just a picky eater. The information provided is all locally-sourced so you can be sure that it’s reliable. If you like going to gigs, club nights or quirky events like pop-up cinemas and festivals, YPlan could be your ticket. 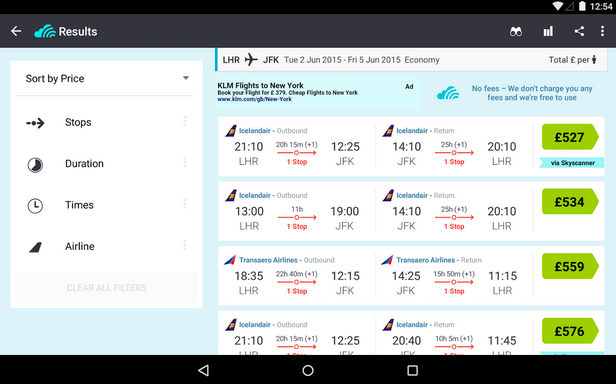 Available in London, New York and San Francisco, it suggests events nearby and lets you book tickets through the app and often at a discounted price. For some venues, YPlan even offers VIP tickets so you can watch the show in comfort. As well as its abundance of crowd-sourced reviews, TripAdvisor has a nifty feature that offers offline city guides that include all of the reviews and tips listed on the Web version. Using the guides you can navigate a self-guided tour and pick out places to eat and drink along the way, even if you have no data connection. This sleek minimalist-style travel journal app is a pleasure to use. 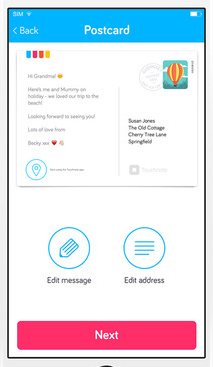 You can write notes and diary entries from your trip and add pictures to liven them up, then convert them to PDFs or share them via email or on Facebook. 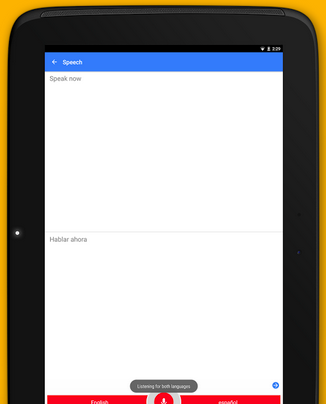 It might sound like the native notes section on your phone, but it’s just too beautiful not to use. Camera+ is a good alternative to your native camera. It gives your phone a greater zoom, lengthy self-timer, image stabilization and a wide range of pro-style editing tools. You can add flash to pictures after they’ve been taken, which is great for when you’ve been in a museum or old building that’s dark or doesn’t allow flash photography. If you’re feeling nostalgic on your holiday and want to send someone a postcard (remember those?! 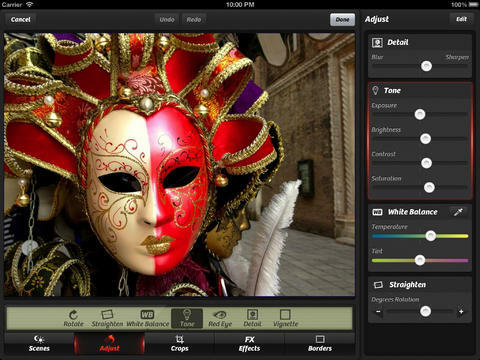 ), Touchnote lets you create them using pictures from your phone and send them anywhere in the world for $1.00-$3.00. 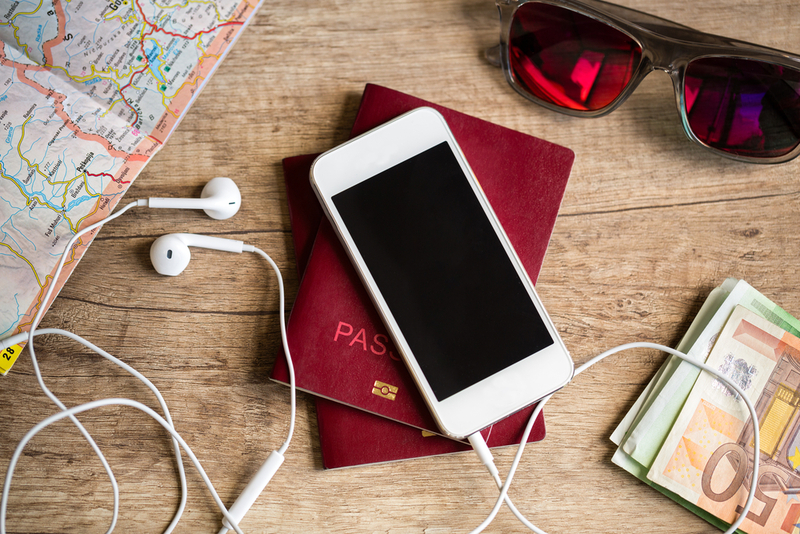 Have we missed your favorite travel app off the list? Let us know in the comments below!